The North Shore is comprised of the waterfront and hillside areas of all of Northside Quarter “B” as well as the northernmost residential estates Queen, King, and Prince Quarters. This area is predominantly residential with a nice mix of businesses, bars and restaurants to support the residents.There are several condominium complexes located here along the waterfront just west of Christiansted (“Condo Row”). Salt River National Park and Salt River Marina are located along the north shore of this area. Significant landmarks include: Carambola Golf and Country Club, Carambola Beach Resort, Ham’s Bluff Lighthouse, Annaly Bay, the rain forest, VI Sustainable Farm, Sprat Hall, Maroon Ridge, Creque Dam Road, Global Crossings (an undersea cable station that connects the Caribbean to North America), Cane Bay Beach (an area of restaurants, boutique hotels and watersports activities), The Wall (famous scuba diving location), and Mt. Eagle (the highest point on St. Croix). 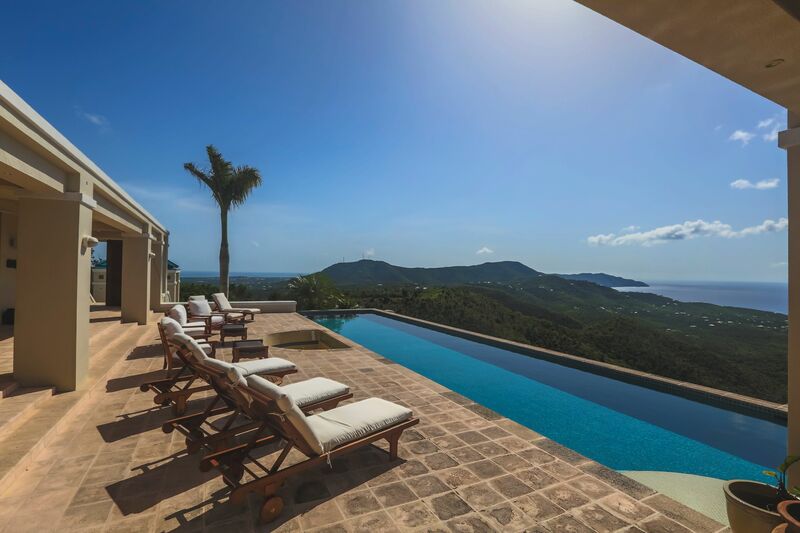 This area has many dramatic hills, mountains and valleys which provide for incredible views and vistas in all directions, stretching from St. Thomas, St. John and the BVI’s all the way to Christiansted and beyond to Buck Island. The landscape and topography in this area tends to be more of a lush tropical setting. There are a few waterfront beach bars and restaurants as well as great snorkeling and dive spots.